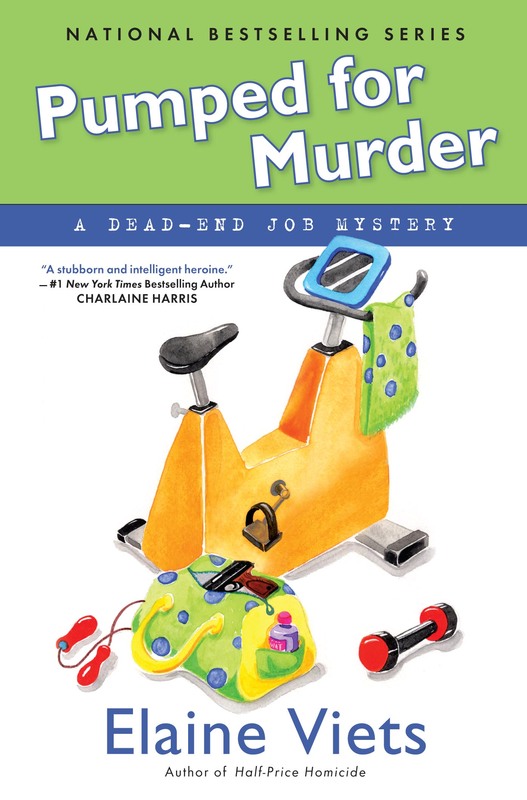 “Pumped for Murder,” by Elaine Viets. Obsidian. 304 pages. $23.95. 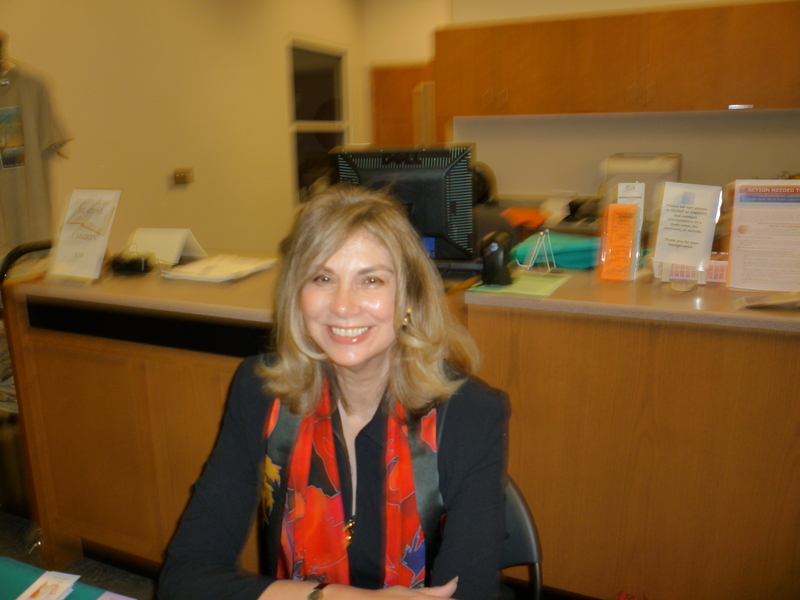 Elaine Viets is well-known for her two mystery series. One of these is the “Josie Marcus, Mystery Shopper Series,” set in St. Louis. The other is “The Dead-End Job Series,” featuring protagonist Helen Hawthorne and set in South Florida’s Broward County. 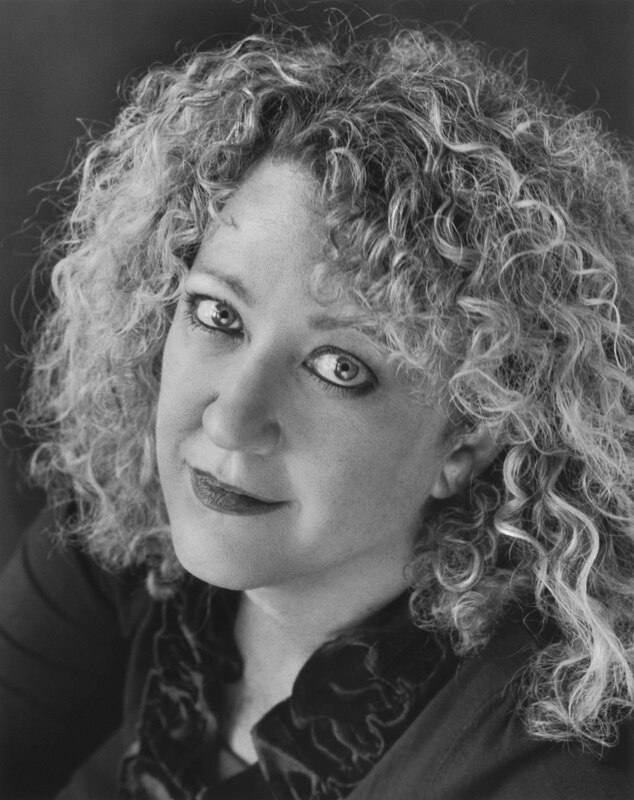 “Pumped for Murder,” the latest title in that series, continues Viets’s effective blend of suspense, local color, and humor that has gained her books bestseller status. After working through nine dead-end jobs in the previous novels in the series, Helen now sets up a private investigator business with her new husband, Phil, who is already a licensed PI. Taking an office in the Coronado Tropic Apartments, where they live, Helen and Phil set out to find some clients. Fortunately, friends who live in the same complex give them leads that pay off – after a while. One case, for which trainee Helen is the primary investigator, involves a jealous wife who thinks her buff husband is fooling around with someone at his fitness club. The other involves a man who owns a classy auto repair business. He believes that his long-dead brother, labeled as a suicide, was murdered. The mechanic wants the case reopened and his brother’s reputation cleared. Coronado Investigations swings into action. Helen goes undercover, taking yet another dead-end job helping the receptionist at Fantastic Fitness in Fort Lauderdale so that she can spy on Bryan Minars and see if he’s cheating on his wife Shelby. Phil takes the lead in the other case, though Helen often joins him. They meet Gus, the grieving brother, to see if there is anything suspicious about the death of his late brother, Mark. The author intertwines her narration of the two cases, building suspense in each, all the while also developing the relationship between the newly-married investigative partners. Helen’s case involves portraits of several over-the -top bodybuilders, one of who is found dead soon after Helen begins her new job. Two others, who trained the murdered competitor, are freaky from steroids, starvation, and other abuses as they chase after supposedly perfect musculature. When a police detective accuses a meek, miniscule fitness client named Evie of committing the crime, Helen takes on another case – that of clearing Evie and finding the real killer. For a long while, nothing turns up to validate Shelby Minar’s suspicions about her husband. . . .
“Singular Survivors” appears in the Summer 2011 issue of Jewish Book World. 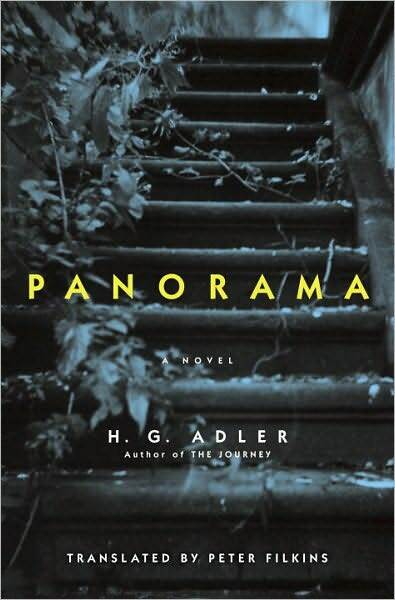 Elsewhere in the same issue (and presented below the “trio”) is my review of a newly translated classic Holocaust-related novel — Panorama. The same review article (less Panorama) is reprinted in the August 2011 issue of L’Chayim (published by the Jewish Federation of Lee and Charlotte Counties, Florida) and in the September 2011 issue of The Jewish News (published by the Jewish Federation of Sarasota and Manatee Counties, Florida). 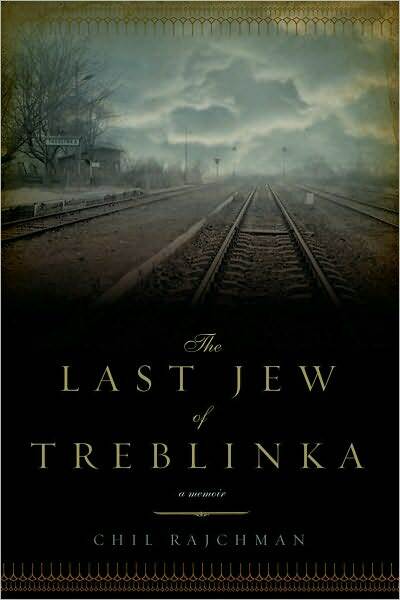 Cast in an affectless narrative voice, The Last Jew of Treblinka, written in 1945, is one of the rare first-hand responsesto incarceration in Treblinka. Because Treblinka was solely designed to be a death camp, it had far fewer survivors than concentration camps or work camps. Its business was strictly annihilation. We learn from Rajchman about the ruthless efficiency of what can only be called a death factory. The Nazi war machine engineered assembly-line techniques to transport, confine, torture, gas, and then bury and/or incinerate its victims. Those in charge regularly explored refinements in efficiency, even as their underlings gleefully satisfied unfathomably sadistic longings. Overwhelming deprivation and constant torture was the lot of the Jewish inmates who were forced to participate as laborers. Rajchman joined a team of untrained “dentists” stationed along the assembly line to extract false teeth, gold, and other valuable materials from the astounding number of corpses. Others had to unpack corpses from the gas chambers, convey them to be buried in pits, or load them into ovens. In the end, the corpses were dug up and incinerated in an attempt to obliterate traces of this gruesome enterprise. Rajchman’s narrative concludes with a startling portrayal of the Treblinka rebellion that allowed him and a handful of others to escape. 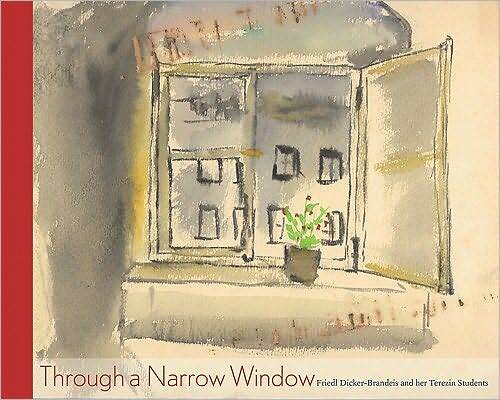 A remarkable project, Through a Narrow Window sets the historical, cultural, esthetic, and situational context for the amazing production of art by children that took place in the Terezín concentration camp. Terezín, a Nazi propaganda showplace, was designed to show the outside world how well its prisoner-guests were treated. Dicker-Brandeis, an accomplished Bauhaus-trained artist and theorist in art pedagogy, was brought to Terezín to work with the children. Make no mistake: she and these children were Nazi prisoners. Their lives were severely circumscribed. And yet, Dicker-Brandeis had the opportunity to teach them how to express themselves – how to find themselves – through artistic creativity. Based on an exhibition curated by Linney Wix for the University of New Mexico Art Museum, the book reviews Dicker-Brandeis’s training and artistic career, the artistic milieu in which she flourished, and her trailblazing teaching methodology. It also recounts her successful scheme to sequester two suitcases full of her students’ art, which reached the Jewish community of Prague soon after the close of World War II. The heroic teacher had already been relocated to Auschwitz, where she was executed. The glory of Through a Narrow Window is the generous presentation of color photographs and plates representative of Friedl Dicker-Brandeis’s own work as well as those of the incarcerated children whom she taught. Through their art, they are alive. Subtitled “A Documentary Novel,” Dieter Schlesak’s achievement needs to be measured against its colossally ambitious goal: to balance documentary truth and the truth of the imagination. By selecting and arranging passages from the Frankfurt Auschwitz Trial of 1963-65, and intermingling them with less formal interview material, the author has already taken the first step toward uncovering the real Dr. Victor Capesius – a man convinced of his moral innocence. 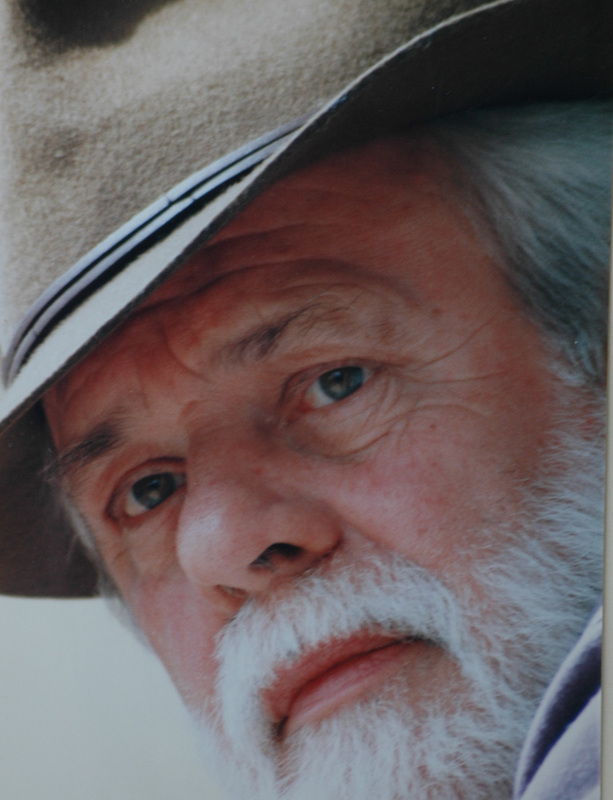 Capesius, who rose from “sorter” of new detainees to a postwar life of great wealth based on exploiting his upward mobility in the Auschwitz command hierarchy, presents himself as a man making the best of a horrible situation – almost a victim. He blocks all glances into his grotesque soul, including his role in unconscionable medical experimentation, and thus stands for many of his contemporaries. To unify the collage of voices, of interrogatory transcripts, Schlesak invents a character named Adam as a kind of central consciousness. Adam reflects the life of the Auschwitz inmate and is given a place in the range of testimony about Capesius. Sometimes discursive and cerebral, sometimes stream-of-consciousness, his voice is at once individual and choric. There is yet another narrative voice, a step removed from Adam’s, that is nameless and thus perplexing. Is it a version of the author’s own voice? 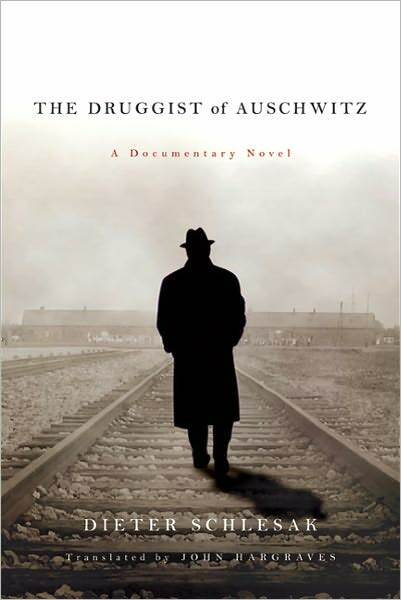 A challenge for readers both in substance and experimental style, The Druggist of Auschwitz is functionally disorienting. It succeeds by not playing it safe. Written in 1948, first published in German in 1968, Adler’s masterpiece is now available in English. Based on the author’s life, this modernist classic uses the conceit of the panorama, in this case a series of magnified pictures from around the world viewed through a peep-hole, to introduce his protagonist’s particular psychology as well as the structural technique of this iconoclastic novel. In ten unconnected prose tableaux, significant slices of Josef Kramer’s life are set before the reader. Adler’s technique amplifies Josef’s uncanny duality of self-awareness, just as one witnessing the magnetic panorama may project himself from mere spectator to a figure in a scene and back again. Stylistically, Adler’s experiment employs a version of stream-of-consciousness: long, complex, winding sentences that pile up clauses and phrases as if echoing the processes of perception and contemplation. The technique addresses while it imitates Josef Kramer’s personality and states of mind. Technically a third person narration, the final effect is of Josef somehow voicing the narrative, at once inside and outside of himself. Born into Prague’s German-Jewish community in 1910, Adler captures the transformation of his homeland from a region in the Austro-Hungarian Empire through WWI to its independent statehood (in 1918) and then to its subordination under Nazi Germany. Josef Kramer’s life and vision of himself are impacted by these transitions, as Adler details his surrogate’s family, schooling, young adulthood, early occupations, impressment into forced labor, and imprisonment in concentration-extermination camps. Josef, like his creator, ends up an exile in England, ruminating upon his experiences. At once realistic and impressionistic, nightmarish and richly satirical, Adler’s earliest novel probes the vacuity of intellectual pretentiousness, the absurdity of bureaucracy, the insatiability of ego, and the means and meaning of survival. 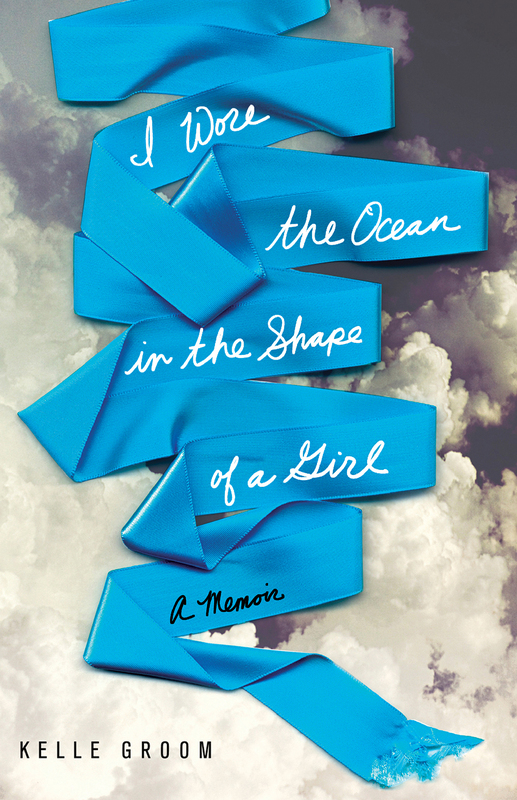 “I Wore the Ocean in the Shape of a Girl: a Memoir,” by Kelle Groom. Free Press. 256 pages. $23.00. Like a lot of must-read books, “I Wore the Ocean” is a difficult book to read. Its passages of darkness and despair are almost overwhelming. Its descriptions of alcoholism, drug addiction, and emptiness are harrowing. But there is no turning away. Ms. Groom’s lyrical prose is addictive. Brilliantly lucid, richly suggestive, and ruthlessly honest, this memoir is a triumph of art and life. Young Kelle Groom was a person without a center. Up to a certain point in her life, she had a very loose grasp on her own reality. She could not really feel rooted, substantial. She found no way to assert herself into the world: she could barely speak. She lived in psychic pain, she faked confidence and, while yet in her early teens, lost herself to alcohol and drugs. She became easy prey to exploitative boyfriends and sexual predators. She was damaged goods, perhaps permanently lost. Somewhere, there was a resilient core that showed itself from time to time. Her unplanned pregnancy, at nineteen, was a mixed blessing. It was a gift and a loss. Motherhood gave Kelle Groom a more powerful sense of herself. She was more anchored in the world. However, believing that she was not fit to raise a child, she allowed Tommy to be adopted by her aunt and uncle. She lived on the fringes of the life she gave. When Tommy died at fourteen months from leukemia, Ms. Groom’s despair and sense of guilt almost toppled her. Her life as a young adult was one of marginal jobs, bad choices in men, and a running battle with alcoholism. The possibility of suicide was never far away. Over time, writing became more and more her salvation. It was her way of coming to terms with herself, of dealing with demons, of building a solid identify, of finding a productive addiction, and of gaining perspective and understanding. Kelle Groom’s process of self-making through art resulted in three collections of poetry and now this glorious memoir, based largely on journal entries written over many, many years. A major thread in the book is Ms. Groom’s psychological and spiritual search for Tommy. Her own quest for wholeness required that she explore the possible reasons for her son’s death and the contours and texture of his brief life. With her, we examine the potential for cancer-causing environmental factors in and around Brockton, Massachusetts where Tommy lived. We witness her react to photographs of Tommy and his adoptive parents that enlarge her emotional understanding. Finally, her aunt and uncle give her some almost thirty-year old home movies that Kelle Groom has processed onto a video compact disc. . . . Note: Since this review first appeared, Groom’s memoir has made it to Oprah’s Summer Reading List. The following review appears in the July 2011 issue of L’Chayim (Jewish Federation of Lee and Charlotte Counties, Florida) and the July-August issue of Federation Star (Jewish Federation of Collier County, Florida). Somerville, by Brian Stanford. iUniverse. 470 pages. $34.95 hardbound, $24.95 trade paper. Somerville qualifies as a book of Jewish interest not because it is driven by major Jewish characters or major Jewish themes, but rather because the intriguing story line is drawn from the unfortunate history of Nazi crimes against Jews. In this case, there are two centers of interest that interact. The first is that a major Swiss pharmaceutical company had supplied experimental drugs to the Nazis, who had carried on their experiments on Jewish (and other) prisoners in the concentration camps. The second is that in the process of confiscating any and all kinds of items owned by Jews, the Nazis had confiscated their collections of fine art. Years and decades later, the confiscated art works, long stored secretly in the vaults of Swiss banks, begin showing up at auctions. A group of people from various academic disciplines, including Cambridge University experts in art history, begin to suspect a link between the disappearance of a pharmacologist (Somerville) who used to work for this major Swiss company, a series of unexplained deaths, and the emergence of the stolen art. They form an unofficial task force to gather evidence about the provenance of the paintings, the deaths, and the pharmaceutical company. Then a leader of the team turns up dead. Though police officials call it a suicide, those who know Reggie Crawford, the Cambridge don, are quite sure he has been murdered to close stifle the investigation. His murder makes the group confident that they are on the right track. Soon after Crawford’s funeral, a young Cambridge professor named Adam Locke receives a treasure trove of records, mostly on computer disks, that Crawford had been keeping. The disks contain Crawford’s narrative of all that he and his cadre had discovered. Locke is invited to study the materials – and to join the group. Of course, he does so. 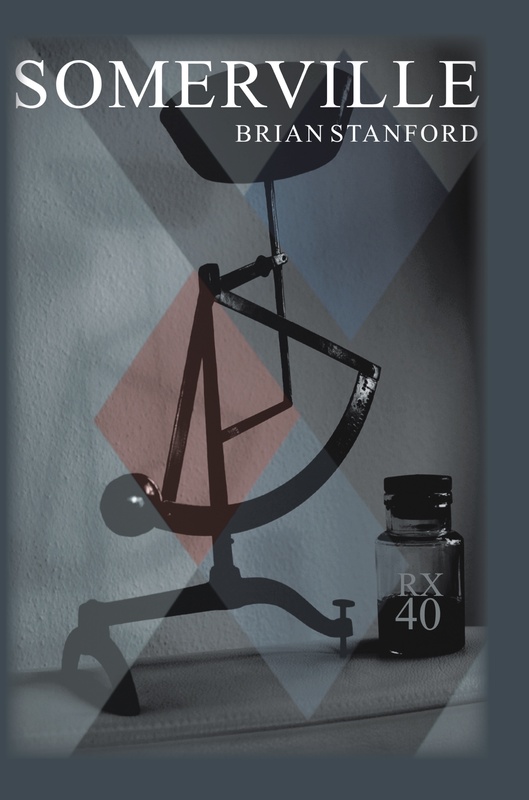 Author Brian Stanford reveals his plot through two narrative sources, one inside the other. Locke is the outside narrator. It is through his voice, ultimately, that everything reaches the reader. However, we hear Crawford’s voice as well. As Locke applies himself to mastering Crawford’s narrative, we can look over his shoulder and follow Crawford’s recreation of the distant past and the steps of the investigation. Thus, Stanford’s skillful unveiling of plot braids three time-lines: the story of the investigation until Crawford’s death, the much longer story that the investigation has uncovered, and the much shorter story of Locke’s involvement that yet becomes the lens through which readers receive everything else. The race against time requires that the team gather enough evidence so that law enforcement officials will take the charges seriously and get involved before the inheritors of the diabolical criminal scheme silence the team and/or destroy anyone who could be a witness against them. The central suspicion is that back in the 1940s the Nazis arranged to pay for the experimental drugs, including a very special one named RX40 produced by the Swiss company, by exchanging the confiscated artworks for them. The present-day question: who is reaping the benefits of this grotesque harvest as the paintings come on the market? Somerville engages readers with Switzerland’s reluctant accommodation to the emerging facts. Officially neutral, Swiss institutions and businesses were highly complicit in various Nazi activities, hiding behind the confidentiality of banking regulations. Decades later, what was to become of these treasured paintings, once owned by European Jews, when the trail of ownership vanished? Over the course of the novel, Brian Stanford slowly expands his cast of characters, takes us to many vividly drawn locations in England and Switzerland, and injects the mystery with a powerful romance between Adam Locke and Clare Somerville, the beautiful young daughter of the vanished title character. An impressive debut novel, Somerville may suffer somewhat from “too-muchness.” The degree of detail that the author rolls out is beyond the needs of effective storytelling; certainly, it is beyond the needs of efficient storytelling. It is as if Mr. Stanford knows so much about his subject that he can’t leave anything out. Still, it has much to recommend it. Gracefully written, generally well-paced, and at once invitingly exotic and strangely familiar, Somerville does a classy job of educating and entertaining.